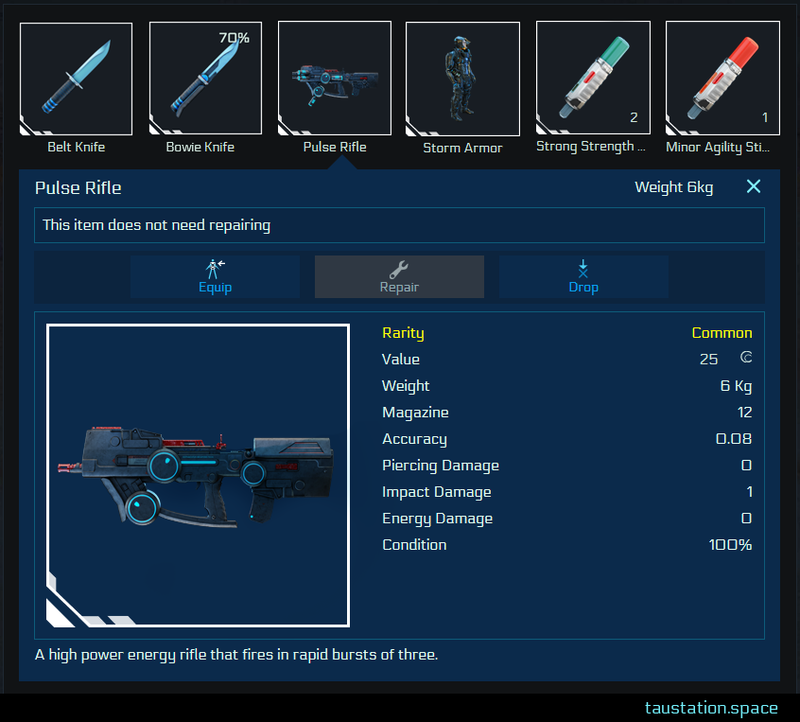 Here are a few of the UI features included in the Inventory to allow the game to be accessed by a wider audience. Color contrast is important for most people to be able to distinguish text against background color, but it is essential for those with color blindness or low vision. WCAG 2.0 (the guidelines we follow to implement accessibility) require text to have a contrast ratio of at least 4.5:1. We work this ratio out through the use of a color contrast analyzer. We also ensure that color is not the only means of conveying information. An example is the rarity frames that imply the rarity of an item. Those with vision impairments, such as color blindness and low vision, may be unable to perceive the intended color and therefore may miss out on the context the color implies. Additionally, screen reader users have no access to this context at all. To overcome this we have ensured that frames are different in shape as well as colour and that the rarity information is included in the information for the item. This type of clarity benefits all other players as well. keyboard power players who use keyboard commands for efficiency. For players that rely on keyboard interaction, it is helpful to display which element has current focus to facilitate interaction with it. Elements focusable via the keyboard can be be form controls, links or buttons, and anything else that is programmed to be focusable. This can result in a lot of focusable elements on one page. In the inventory, when an inventory item is selected, the player is presented with the information and actions available for that item only. To assist keyboard and screen reader users keyboard focus is progmatically trapped within the context for that item only. And focus is released and returned to the item when the modal is closed. This is intended to prevent players from having to tab through the entire tab order of the page, and to allow screen reader users to appreciate the context of the selection. 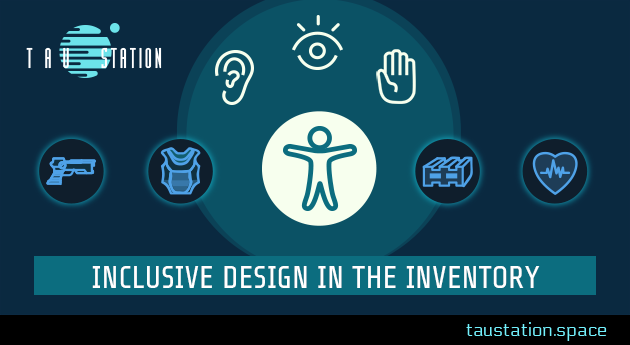 Utilizing these features, Tau Station is crafted with accessibility as a focus. Our goal is for everyone to be able to explore the universe equally.